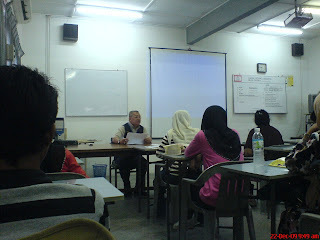 21 December 2009 - Went for a 4 days 3 nights trip to Langkawi with my uncle alone. Nothing much to post about, see pictures below for further details. Quite boring although visited many places. During the ferry ride from Kuala Perlis to Langkawi. It took almost an hour. The Garden Hotel. The so called high class hotel with poor maintenance and cut-throat price. RM165/night for just a small room. The manager is a greedy man. Deluxe Room? If this is what they called a deluxe room then i bet all those standard rooms are dead. RM140/day which is super expensive and the gear was half-broken. Black Sand Beach. The place where the sand suppose to be black but instead of the sand, I saw majority of the people were sun-tanned and make the beach black. My uncle enjoying a cup of hot coffee. I don't even know what are those hanging potraits and landscape doing in the Underwater World. Maybe they were drawn by those crabs and penguins. Penguins - Standing Proud. Sorry but no fishes pictures uploaded because fishes are just plain unattractive and I hate the way they swim. The Seven Wells with waterfall that almost dried up. 8 December 2009 - SPM is finally over, gone, disappeared, vanished, out of sight, down, cleared! I can't imagine it ended so fast, too fast that I did not even realise it ended today. Right after the last paper, an empty feeling suddenly striked my mind. To make things simpler, I decided to break down my post to 5 main parts. Viewer discretion is advised to prevent any eye-sore or time-consuming for this long-winded post of mine. Only by that time a smile scratch my face as I walked passed the heavenly stairs towards the ground floor. I did not even grab the chance to bit farewell to some of my teachers, teachers that really care for the students and hope that they will excel in the respective subjects. And now here am I missing them for some of their boring lessons which will be more interesting if I would have pay more attention to them. The end of secondary life means no more wearing green pants, no more childish act, no more care-free attitute maybe, and most importantly, no more Sejarah! I am quite happy at the beginning of this exam when I saw the first karangan question which the topic is so wide and so many points to write about. This indicates that my exam have a very good start and probably definitely will have a good end for it. It proves me right today. Not to say that I'm confident on my subjects or I'm basically too good to score, but at least I have gone through the papers smoothly and thank god because I did not miss any of the papers. That's one of the reasons why I promised myself to accept whatever result that will be coming out next March. If you were to ask me again how many subjects I was taking, I will tell you the same answer again and again. Compared to most of my friends from other schools, I can be considered taking the least subject for SPM - 9. It's the school system, don't ask me. It is most probably because the number of subjects are not important but the subjects themselves are vital to determine your direction after SPM. What's the use of taking 20 subjects with all those easy-to-score Islamic subjects that are similiar to one another? Furthermore, 10 subjects are the limit for those taking SPM starting from next year. Its has been more than 5 times since I dreamt about my SPM. The condition inside the hall, the result day, and the most terrible one - how I missed two of my papers in one day. BM and Mathematics were on the same day in my fantasy world. And I keep on blaming my friends for not reminding me, my parents who doesn't realise my exam date. I was struggling to call the school office to ask whether the exam can be replaced to some other date or not. Of cause they can't, because the whole nation start and end at the same time. I'm glad that I have woke up from those terrible nightmares. This shows that I'm so irresponsible, careless, naive, and being irrational in my dream land. However, it is vice versa and does not affect me throughout the 4 long weeks in reality. Okay okay. Let's back to the topic. Everyone were so tension and some of them almost crack their skulls at the beginning of the exam. However, situation was getting better as time passes and the pressure was less applied to them. For me, it's just the same and every papers count. I can't afford to distract my attention to elsewhere and crying over the spilt milk later. I am quite satisfied because I have done my best, unlike my trial results which is an eye-sore. The 2-year SPM syllabus which is not easy to cover up has reached its finale here. What have you learned or wasted in this 2 short years is all sum up. I firmly believe that the result day is the judgment day. There will be total fairness. So what's my plan after SPM? Most probably will be studying form 6 in my alma mater unless my matriculation application succeed. After that? Waste no time and pursue my studies to local college, or maybe somewhere else. While waiting for my result, I decided to relax for the month to be jolly and maybe find some work elsewhere to utilize my time effeciently. It is going to be a long time until next March to decide my fate. Undang test, driving license? All cramped out in my tiny brain all at the same time. Hang out with friends? Holidays with family? It's all going to be packed up this month. So I need to be doing something useful and not to waste my precious time.